Blue Treasure Wave - Various shades of azure, sapphire, and lapis combined to capture the essence of a beautiful and precious blue-toned gem. Comes uniquely wrapped and all ready to receive as a gift. If you would like to include a greeting card please let me know and I would be happy to include one. 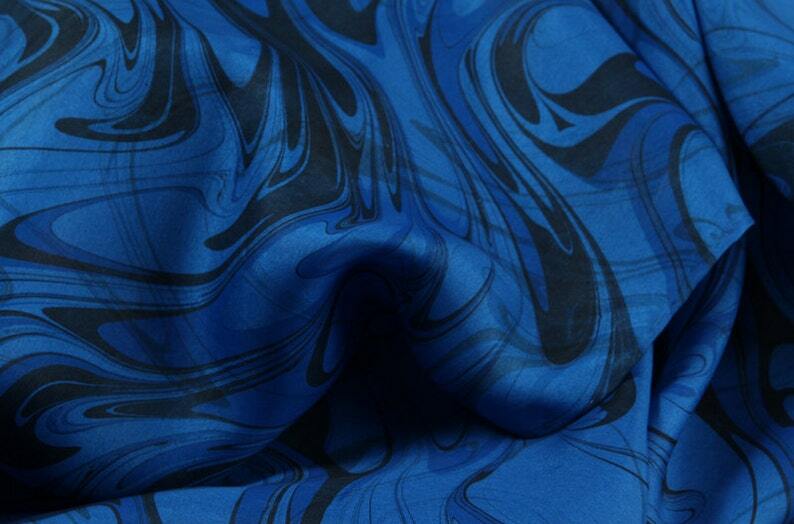 Hand marbled silk is very durable and easy to care for. Hand wash in almost cold water with hands and use mild soap, iron while still damp. Your scarf is 100% silk and each piece is individually hand-dyed and hand-marbled. The scarves pictured on the web site are representations of a specific pattern and color theme that we have created. However, because the scarves are individually hand-marbled rather than being mass-produced, no two scarves can ever be identical.